Loving memories are expressed with this delicate pedestal arrangement. 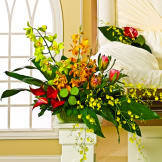 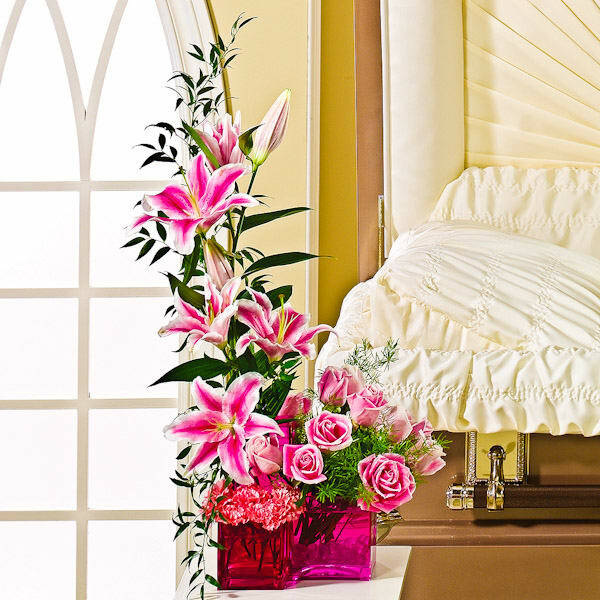 • Arrangement designed with roses, carnations, lilies, sprengeri and ruscus and perfect for a pedestal. • Measures 29"H x 17"W x 14"D.